World Cancer Day is the one initiative under which the entire world can unite in the fight against the global cancer epidemic. 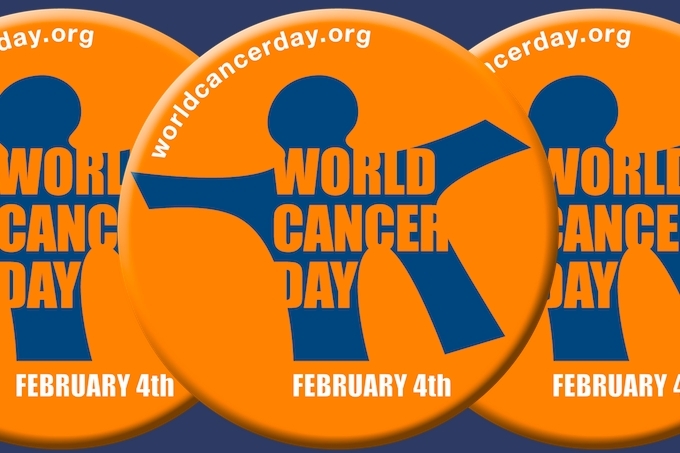 World Cancer Day takes place every 4th of February. The aim of the day is to save millions of preventable deaths each year by raising awareness and education about cancer, and pressing governments and individuals across the world to take action against the disease. Currently, 7.6 million people die from cancer worldwide every year, 4 million of these dying prematurely (aged 30 to 69 years). So unless urgent action is taken to raise awareness about the disease and to develop practical strategies to address cancer, this is projected to increase to an alarming 6 million premature cancer deaths per year by 2025. World Cancer Day is an initiative of the Union for International Cancer Control (UICC), a leading international non-governmental organisation dedicated to the prevention and control of cancer worldwide. Founded in 1933 and based in Geneva, UICC’s growing membership of over 765 organisations across 155 countries, features the world’s major cancer societies, ministries of health, research institutes, treatment centres and patient groups. Additionally, the organisation is a founding member of the NCD Alliance, a global civil society network that now represents almost 3,000 organisations in 170 countries. You can support and help spread awareness about World Cancer Day in a number of ways. Consider signing the petition on the UICC website, like the World Cancer Day Facebook page or tweet your support using the hashtag #WorldCancerDay. Remember, every gesture helps, no matter how small or insignificant it may seem.